“Auld Lang Syne” is the most popular song on New Year’s Eve, but another Scottish traditional tune, “Will Ye No Come Back Again,” is in the hearts of the hospitality professionals who’ve hosted so many travelers this holiday season in hotels and restaurants. Many “happy returns” by guests are sought after and prized, so varying methods and strategies are used. In Puerto Rico, Royal Isabela’s returning guest program offers guests, upon check out, the chance to book their next stay at the luxurious seaside resort two-hours outside San Juan, with a special discounted rate. 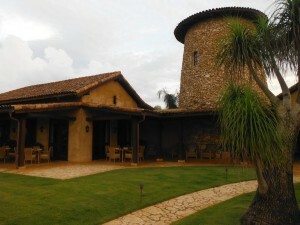 “Most of our guests come to relive their last vacation experience, to enjoy the privacy of the casitas, the challenging game of golf or the organic restaurant menu that changes on a daily basis, plus to check-out all of the activities they weren’t able to do the first time around,” says reservations manager Angela Torres. Michigan-based travel writer Michael Patrick Shiels may be contacted at InviteYourself@aol.com or via www.TravelTattler.com His talk show may be heard weekday mornings in Lansing on 92.1 FM and seen on Fox 47 TV.